OWCH members are set full steam ahead to move in by early 2016 to 25 flats in High Barnet. At our winter party on Dec 14, newcomers were able to see a model of the scheme (see attached), made by one of our members who has worked in the National Theatre scenery department for years. The real thing has started – to the extent that the construction firm is on site and monthly project team meetings have begun and two OWCH representatives have been kitted out with their hard hats, hi-viz waistcoats and steel-capped boots. Getting to grips with the demolition of the old school awaits the green light from Barnet planners – as ever. Barnet’s local MP, Theresa Villiers, who has taken an interest in the project, is booked for a media event in early February. 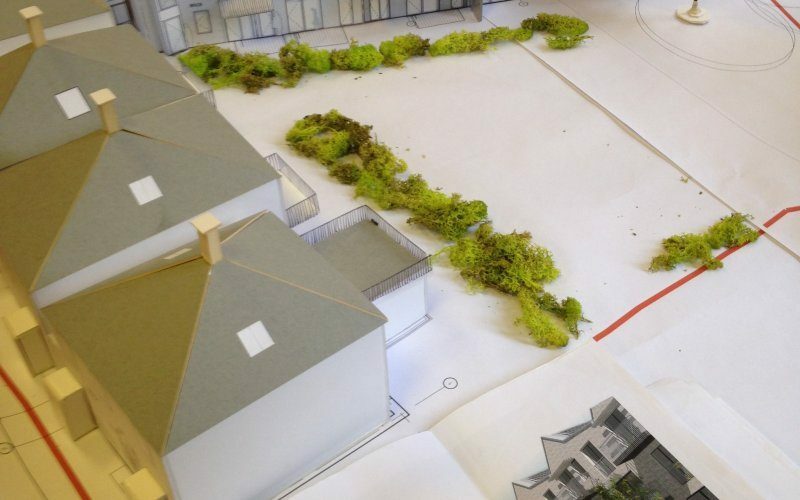 The group will hold a strategy workshop in January 2015, to explore and plan the structures and processes that a newly moved-in cohousing group will need in twelve months time. Any handy tips from groups who have recently had this experience will be warmly welcomed!